Established in 1982, Colvin Electric has been at the forefront of the electrical industry, building many of our homes, schools, churches, stores and more. Our home and commercial services include everything from home and business repairs, and upgrades, to large commercial construction projects, and more, with a heavy emphasis on professionalism, safety, and customer satisfaction. We are local, independent, family owned and ready to serve all of our Austin and surrounding area communities! Colvin Electric is a member of the local IEC (Independent Electrical Contractors) Chapter and is committed to providing high-quality educational programs, through the IEC, for all of its electricians, ensuring that our staff is trained to the most current and highest of standards. 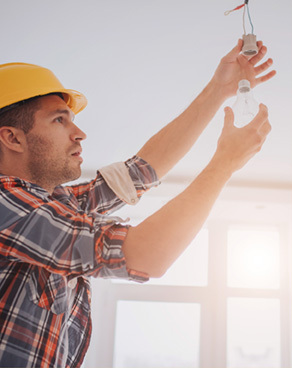 We have 5+ Master Electricians on staff and all of our electricians are licensed and thoroughly vetted, including background checks and drug testing. At our core, we strive to provide 100% customer satisfaction, a safe, professional working environment, a high quality of life for our employees and continue to be a successful, growing business which will allow us to maintain our position as a leader in the electrical industry and be there for our customers when needed.